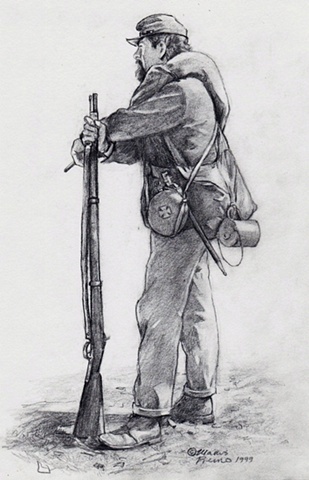 The 32nd Massachussets was in the 1st Division of the 5th Corps.They fought at Antietam, in the Wheatfield at Gettysburg, and in the Army of the Potomac's Overland campaign. The 32nd Mass. was the lead Federal unit in the pursuit of Lee to Appomattox. They captured Lee's supply train,were the first to receive Lee's envoy to discuss terms of surrender, and were the first regiment in the Federal line during the surrender ceremonies, under the direct command of Gen. Joshua Lawrence Chamberlain.